Today I am delighted to be hosting children’s author Julie Abery as we celebrate the release of her darling debut board books LITTLE TIGER and LITTLE PANDA published by amicus ink. Congratulations, Julie! Now, without further fuss, here are FIVE FUN FACTS about the books from the author herself. Take it away, Julie! 1. Little Tiger won a contest. Little Tiger started out as an idea for a book about a paper tiger. 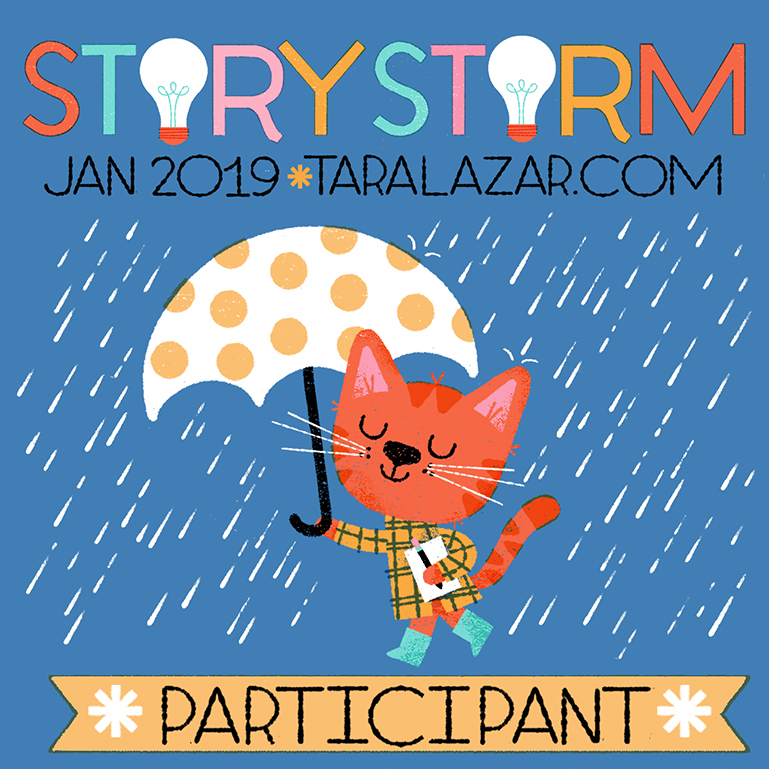 I had enrolled in Susanna Hill’s Making Picture Books Happen course and had just finished writing a story about an origami owl entitled Paper Owl. Paper Tiger was my next idea. I had spent time at the library researching tigers and wrote a list of tiger-ish words in my notebook, and soon after I spotted Vivian Kirkfield’s 50 Precious Words contest in March 2016. I flicked through my notebook looking for inspiration…and Little Tiger was born. I was overjoyed, astonished and very humbled to be awarded first prize! 2. Little Tiger sold 15 months after it was first written. In April 2017, my agent, the fabulous Essie White of Storm Literary Agency, received an email from the acquiring editor at amicus ink in the U.S., expressing interest in Little Tiger and Little Panda to publish as board books. Essie asked my thoughts…I don’t think I waited many minutes before responding YES! 3. Where did the idea for Little Panda come from? Little Panda was written following an editor’s feedback on Little Tiger. She thought that it might be possible to write other ‘little’ books. Plus, of course, Little Tiger didn’t want to be an only book, he wanted to be part of a series! 4. There are two active verbs in every stanza. Just like human little ones, Little Tiger and Little Panda are all about action. The rhyming stanzas follow the young animals as they venture out on their own and get into a little trouble, but luckily mama is never too far behind. 5. Little Tiger and Little Panda will soon be joined by others in the LITTLE ANIMAL FRIENDS series. Who will they be? Little Tiger and Little Panda cannot wait to introduce you. Coming Spring, 2020 from amicus ink. Thanks for having me, Laura! Thank YOU, Julie! I’m excited that there will be more little animal friends in this charming series. I wish you the very best and enjoy the journey! Julie Abery is a children’s author and Pre-K teacher. Originally from England, she has spent half her life living in Europe, bringing up her three (now grown up) children and experiencing new languages and cultures. She now calls Switzerland home. Julie taught Pre-K for many years at international schools. Through those years, picture books were her friends and allies bringing rhyme, rhythm and repetition to the ears of her young students. It is the magic that picture books create for children that inspires her to write. Good News! IT’S EASTER! : Five Ways to Engage Little Ones and a GIVEAWAY! Spring is in the air! And just as the last little piles of snow on my front lawn are melting, look what has arrived on my porch! It’s Glenys Nellist’s newest board book. Published by Discovery House and illustrated by Lizzie Walkley, Good News! IT’S EASTER is an upbeat rhyming introduction to the real meaning of Easter. And today, the author herself, has agreed to share five lovely ways to engage little ones as you read Good News! IT’S EASTER with them. (And in the EXTRA exciting department, Glenys has also offered to give one SIGNED copy of her new board book to one lucky reader! Find out how to enter at the end of the post.) Now, without further ado, here’s Glenys. Enjoy! 2. 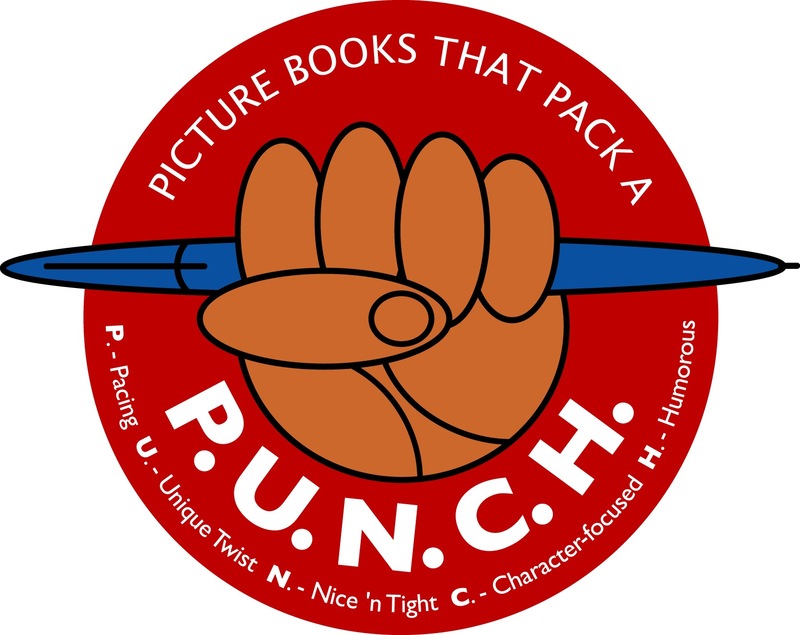 As you begin reading, notice that every page of this book has a picture clue that you can use to invite your child to guess who, or what, will be found when they turn the page over. 3. When you reach the last two pages of the book ask your child to look at the end of the path and ask them what’s changed from the picture on the cover. 4. After reading the story, go on a “good news” hunt in your neighborhood looking for tulips, bunnies, buds, and other signs of spring and new life. 5. Bring the message of the book to life by planting seeds together, enjoy your own Butterfly Kit or take a trip to a butterfly sanctuary or nature reserve where you can observe tadpoles and baby animals. Thank you, Glenys, for sharing these ideas for sparking conversation using your lovely new book. To learn more about Glenys and her books visit her website or connect with her on Facebook, Twitter and Instagram. If you’d like a chance to win a FREE copy of GOOD NEWS! IT’S EASTER written by Glenys Nellist and illustrated by Lizzie Walkley, let me know in a comment below. (NOTE: Must have U.S. address and at least 18 years old to enter.) The giveaway ends Friday 3/22/19 at 12:01 am EST. The winner will be announced that day! THIS GIVEAWAY IS NOW OVER. Winner announced HERE. Today I’m delighted to feature the wonderful Glenys Nellist as my guest. Glenys is the author 12 fabulous books – including her best-selling LOVE LETTERS FROM GOD series with five books out and more on the way. She’s also the author of the adorable SNUGGLE TIME series. Last December, she was here for an interview to celebrate the release of her clever and gorgeous ‘TWAS THE EVENING OF CHRISTMAS, a heart-warming Christmas tale told to the cadence of Clement C. Moore’s famous poem. And today we’re here to celebrate the release of two darling rhyming board books that celebrate the special bonds between and mothers/children and fathers/children. With simple rhyming text and sweet illustrations, these are sure to be a perennial hit. And now, as a fun way of introducing the books, here’s Glenys with FIVE FUN FACTS about the books. (And be sure to enter the giveaway at the end of the post!) Take it away, Glenys! FUN FACT #1: They Weren’t my Idea! Hi Glenys, thanks for submitting your new book proposal. Unfortunately, it’s not a good fit for us at the moment. However… I am looking for new titles featuring mommies & daddies. If you have any ideas for those sorts of books, I’ll be happy to take a look. Any author would be crazy not to give their editor what they are looking for… and the books were born! Now, whenever my editor and I meet for lunch, I always ask her this five-word question: What are you looking for? Then I come home and try to write it. Can you guess why the ‘O’ is heart-shaped? It’s because in England, where I’m from, and where I’ll shortly be marketing the book, we don’t say Mom. Instead, we say Mum. So the marketing team at Zonderkidz decided to shape the ‘O’ so that it could also be seen as a ‘U’. Aren’t they clever? One of my favorite things to do as an author is to visit schools and read to children. With these books, I’ve found a wonderful guessing game that children LOVE to participate in. Before showing them the pictures, I read each poem and they have to guess the animal. Listen carefully, I tell them. The clues are in the words. He stands up nice and tall. I’ve never see him fall. He helps me stand up straight. It’s a very scary thing for an author to hand their manuscript over and trust that the illustrator will be a good fit. I needn’t have worried at all with these books! Estelle Corke did a FABULOUS job, especially with Daddy Skunk, which is my favorite part of the daddy book! Sshh… don’t tell anyone, but I already have GOD MADE GRANDMA SPECIAL and GOD MADE GRANDPA SPECIAL written in my head! Depending on sales of the mommy and daddy books, then I’m hoping that Grandma and Grandpa will be joining them on the shelves… fingers crossed for that! Thank you, Glenys, for those five fun facts. And best wishes for your continued success! If you’d like a chance to win a FREE two-book bundle that includes one copy each of GOD MADE MOMMY SPECIAL and GOD MADE DADDY SPECIAL both written by Glenys Nellist and illustrated by Estelle Corke, let me know in a comment below. (NOTE: Must be U.S. resident with a street address (as opposed to a P.O. Box and at least 18 years old to enter.) The giveaway ends Monday, 5/21/18 at 12:01 am EST. The winner will be announced that day! Finally… the answer to the poem in FUN FACT #3 is: Daddy Flamingo! This week I’m delighted to share with you Susanna Leonard Hill’s ADORABLE new board book WHEN YOUR LLAMA NEEDS A HAIRCUT, illustrated by Daniel Wiseman and published by Little Simon. It’s the third in her WHEN YOUR… series and just as cute as the first two. Now, to celebrate reading in general – and this book in particular – here are six book-themed extension activities perfect for 2 – 4 year olds. So, invite your darling little ones to find a good spot to read… and then extend the fun with one, two, or all of these activities (which rhyme, by the way, just because). 2. TAKE A HAIRY FIELD TRIP! After reading WHEN YOUR LLAMA NEEDS A HAIRCUT, you and your little one may decide it’s time to get your own buzz or trim. Take along the book and read it while the stylist snip, snips. 3. CREATE A SNAZZY HAIRDO (without scissors)! After enjoying all the snazzy llama hair-do possibilities, you and your little ones may decide you want to give each other hair-dos. Make sure there are no scissors in sight, but do encourage gentle combing to remove the tangles. A spray water bottle will add lots of styling options and help the hair-dos to stick. Barrettes, ribbons, mousse and gel, optional. Afterwards, pretend it’s picture day – just like in the story – and say “Cheese!” for the camera. 4. DO A PICTURE READ THROUGH… After reading WHEN YOUR LLAMA NEEDS A HAIRCUT, your child may want to re-read it to you using the pictures as clues! Reading the pictures is a great pre-reading skill because it encourages interacting with the page. So, snuggle up and enjoy being “read” to. 5. HAVE A LLAMA BOOK FEST! After reading the story, you and your little ones may decide you want to read more llama-themed books! If so, head to the library and have a llama-themed book fest! Your librarian can help you find some good books. 6. LLAMA CRAFT TIME IS THE BEST! After reading WHEN YOUR LLAMA NEEDS A HAIRCUT, you and your little ones may want to do a llama-themed craft. There are oh, so many, possibilities on Pinterest and elsewhere. Here are a couple of links to get you started. Enjoy! Today, in celebration of the release of the board book LITTLE LOVE LETTERS FROM GOD (Zonderkidz, 2015) I am delighted to be interviewing author Glenys Nellist. She’s here as part of her blog tour. And since Valentine’s Day is just around the corner, Glenys has also brought along a printable Valentine’s Day craft which she will share after the interview. 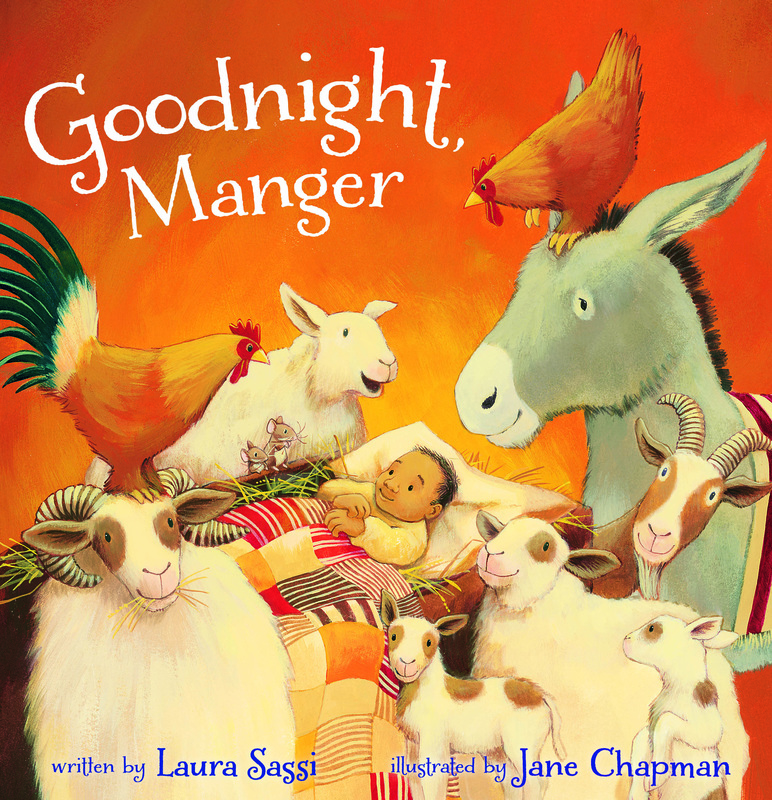 One lucky reader will also receive a free copy of this terrific new rhyming Bible storybook for littlest readers. Well, let’s get started. Thanks so much for joining us today, Glenys. Can you tell us a little bit about yourself? What was your journey to becoming a writer? I have loved reading, writing and anything to do with words ever since I can remember. It all began at primary school in England, where one day a week, I was one of the lucky few withdrawn from the classroom to sit in big, comfy armchairs in the teachers’ lounge. There, with pencil and paper at the ready, I would write. When I became a primary school teacher myself, I used to write poems and stories to use in my classroom, but it wasn’t until my husband and I came to pastor a small church in the United States, fifteen years ago, that the publishing world opened up for me. It was at that little church that I began to write my own curriculum, to be used in children’s ministry, and pretty soon had this crazy dream of writing a children’s storybook Bible. It was a dream that would take me ten years to fulfill, but it was worth pursuing! What inspired you to write LOVE LETTERS FROM GOD and then LITTLE LOVE LETTERS FROM GOD? When my four sons were young, a wonderful little book called The Jolly Postman was published in England. It was their favorite book, written in rhythm and rhyme, that told the story of a postman who delivers letters to nursery rhyme characters. The innovative feature of the book (which is still in print today) is that the pages are actual envelopes containing real letters. I can still remember the joy on my youngest son’s face as he reached inside the envelopes with his chubby little fingers to take the letters out. It was this book that became the inspiration for Love Letters from God. It was my editor’s idea to produce a toddler, board book version of the original, and Zonderkidz had already started work on condensing some of the stories. However, since I know the literacy value and the sheer fun of rhyming words for little ones, I thought it would be great to write Little Love Letters from God in rhyme. I took just eight of the original eighteen stories, and rewrote them as simple poems, while trying to retain some of the same language used in the original book. It was a challenging, but fun, exercise that I think turned out really well! The Bible is full of stories. How did you select which stories would be included in the original and now the board book version of LOVE LETTERS FROM GOD? I knew from the outset that the original book wasn’t going to be just a retelling of Bible stories. Each story had to include its own love letter from God, and a simple Bible verse…a first person promise that God might speak directly to the child’s heart, called God’s Wonderful Words to You. Since it was quite a complex project, I drew up a chart outlining each story, what the love letter might include, and what might be an appropriate Bible verse. It was working on this chart and needing to find balance without overlap that helped me see what stories, apart from the iconic, obvious choices, should be included. When it came to choosing stories for the toddler version, I simply chose the iconic ones, that every children’s storybook Bible should include. Tell us about the illustrations. How long did they take Sophie Allsopp to complete? Was the process of bringing your words to life through pictures at all collaborative? I think it took Sophie about eighteen months to complete the illustrations. My editor asked me what sort of illustrations I had envisioned, and since Sophie had done some work for Zondervan in the past, they approached her. Really, I must credit my wonderful editor, Barbara Herndon for the whimsical illustrations, and for the ‘scrapbook’ feel of the finished product…that was totally her idea! From time to time, Barbara would let me have a peek at what Sophie was doing, and of course, I was delighted. I wouldn’t have changed a thing! Let’s take a quick peek at the book trailer for the original LOVE LETTERS FROM GOD. It really shows how beautifully the scrapbook style illustrations enhance the text. What’s next? Are there more LOVE LETTERS in the pipeline? Also, where can interested readers find your books? I’m delighted to say….YES! You can be on the lookout for CHRISTMAS LOVE LETTERS which will appear on the shelves later this year, and in 2017, one written especially for girls. I also have a new SNUGGLE TIME series coming out soon! Readers can find out more at the links below. Thanks so much for having me Laura! It’s been my pleasure! And now for the craft! Enjoy this free, downloadable Valentine Craft which features the Good Shepherd from Little Love Letters. With special thanks to Glenys’s creative friend, Debi Weaver for her cute design. Don’t forget to enter the GIVEAWAY!!!!! If you’d like a chance to win a FREE copy of LITTLE LOVE LETTER FROM GOD, written by Glenys Nellist and illustrated by Sophie Allsopp, simply post a comment below. (NOTE: Must be U.S. resident with a street address (as opposed to a P.O. Box at least 18 years old to enter.) The contest ends Thursday, 2/18/16 at 11:59 pm EST. The winner will be announced on Friday! This giveaway is now over. Winner has been announced. Enter your email address then click "follow blog" to receive notifications of new posts by email. 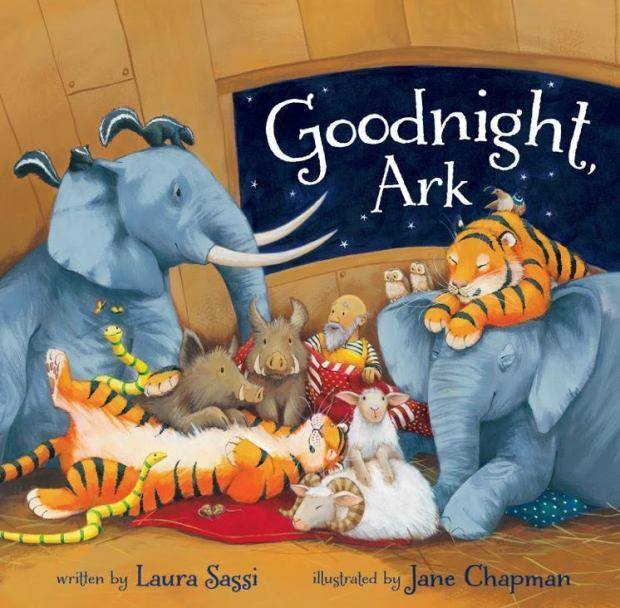 GOODNIGHT ARK is a 2015 Christian Book Award® Finalist! © Laura Sassi and Laura Sassi Tales, 2012 -2018. Unauthorized use and/or duplication of this material without express and written permission from this blog’s author and owner is strictly prohibited. 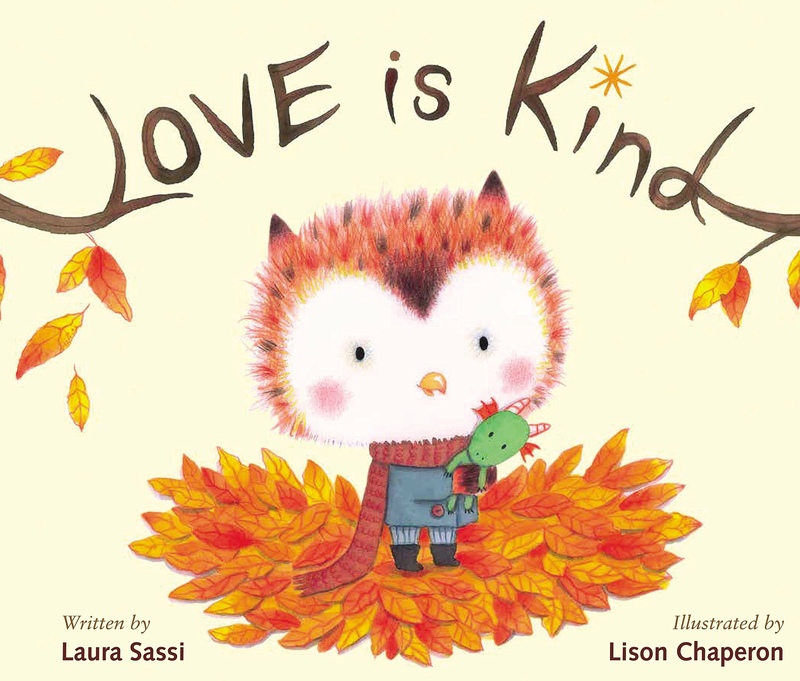 Excerpts and links may be used, provided that full and clear credit is given to Laura Sassi and Laura Sassi Tales with appropriate and specific direction to the original content. This blog is written and edited by me. I am not compensated to provide opinion on any product, website, service or topic. The books I review are either purchased by me or checked out of the library. Occasionally, I have received an ARC from the publisher or have won a book in a giveaway. However, in no instance, was I, or will I ever be, required to write a positive review. The views and opinions expressed on this blog are purely my own.